So you think that being a notary is all about showing up and checking ID? Think again. Despite its laid-back reputation, a life of a notary has many challenges and lots of intrigue. Here are some of the hurdles that a notary has to overcome on a near-daily basis. Most notary appointments are just that: Appointments. But often – very often, in fact – a business such as a law firm, financial institution, or debt settlement company, will call in the morning to arrange a document signing in the afternoon. Sometimes, the notary doesn’t get even that much notice. In response, the notary does what she can to accommodate her clients, sometimes skipping lunch along the way. A notary has to be ready to travel anywhere, without reservation. But that dedication to her profession can still make the notary’s spidey-sense tingle from time to time. This usually occurs when she is called to a document signing appointment in a high crime area or at a time at night – anywhere – when safety becomes a priority along with completing the document signing for her client. There is nothing routine about a document signing. From the moment she shows up at her appointment, the notary has to be concerned about many details, forms and requirements, some of which could sour a deal or become challenged in a court or other venue. When a notary notices something amiss on a form, such as blank spaces or missing pages she is obligated to inform the signatory and has the option to decline to notarize the documents. There are a number of documents that require the signature of a witness, including the forms commonly related to a mortgage or re-fi. Many times, the signatory is unaware of this requirement and the notary arrives prepared and on-time only to discover that there is no witness available. While most states allow notaries to act as a witness to the document signing, they are prohibited from notarizing their own signature. These are just a few of the challenges faced daily by the notaries at National Paralegal & Notary. Through it all, our expert notaries continue to perform in the highest professional manner and keep our clients’ businesses growing. 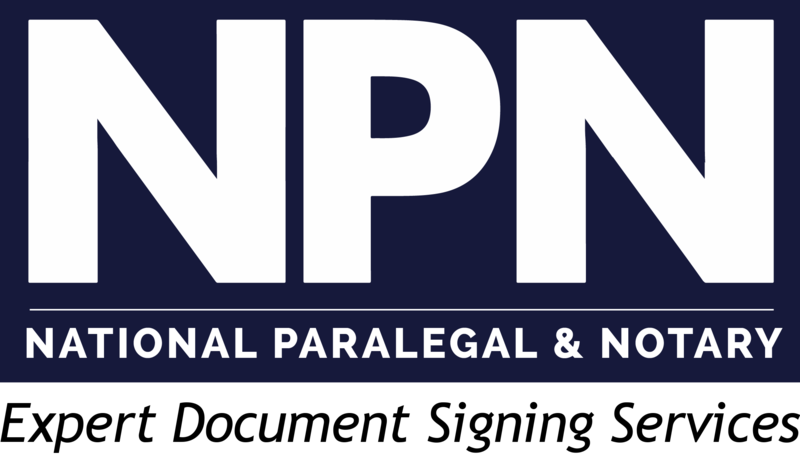 For more information on how National Paralegal & Notary can save your business money on your monthly document signing requirements, call (857) 302-5914.